HWSA has organised special developing camps since 2000. Here you can see a photo album about our previous international camp in 2006. The photos were made by Ilona Kovats and won a first price on an art contest. 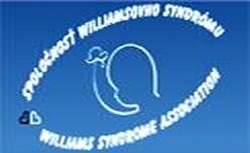 It was organised with the help of the Youth for Europe Programme and cooperation with the Federation of European Williams Syndrome Association (www.eurowilliams.org). Office of the EU. It also won the 2007 European Youth Prize in Brussels. out as good practice on the position papers of EURORDIS. Many other nice camps were organized with similar methods. You can see a short summary about most of them on FEWS webpage. Link to see the summary of these camps. give us the possibility to continue this V4 partnership. In 2013 we also organized an international camp with the V4 countries. place as possible and it has a standard place in our office.